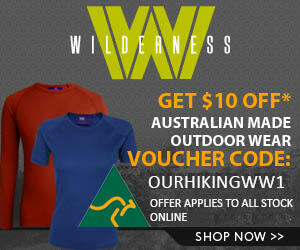 You invested time getting to know your feet and finding fabulous new hiking boots that fit and are just what you need. The trick now is to keep your boots in tip top order with correct waterproofing, cleaning, drying, and storing. 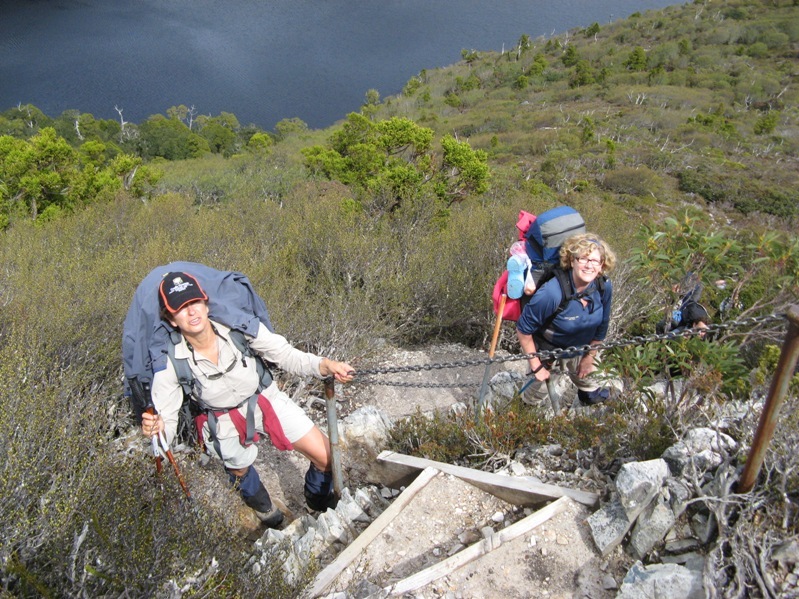 In this article, Georgie Bull concludes her excellent hiking boot series. New leather and Nubuk boots have DWR – Durable Water Repellency – applied at the factory. DWR soaks into the fabric to lower the surface tension, making water bead and roll off, rather than soak in. Before you wear your boots into the wild, you can apply even more waterproofing on top. I was advised to apply at least 10 coats of waterproofing before I wore my new Vasque boots out in the wet, paying special attention to where the integrity of the leather is affected by punctures from stitching and hardware. 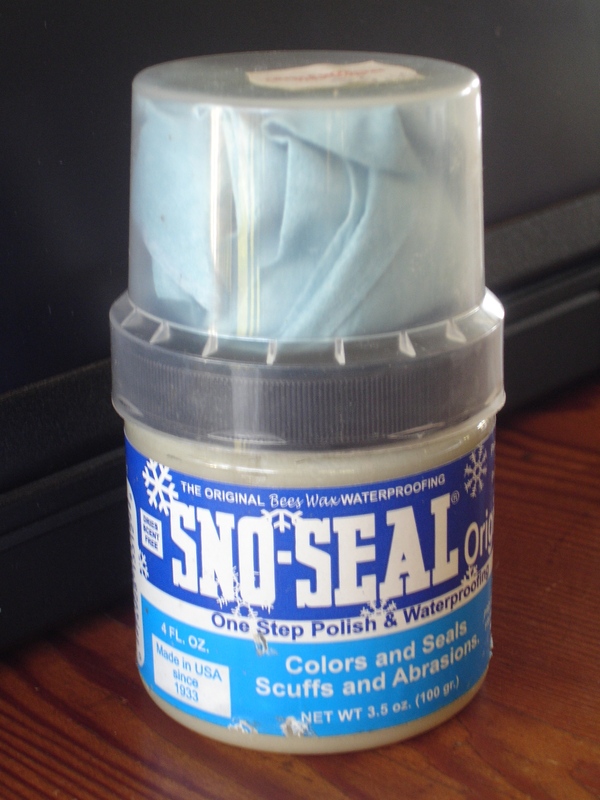 I don’t want my boots to stretch or get soft, so I use Sno-Seal (www.atsko.com) – a beeswax based American product I started using 40 years ago on my cross-country skiing boots. The 15 layers I applied to my Vasques kept them 100% dry for the whole 6 days on a very wet and muddy OT. My son uses Oakwood Leather Conditioner when he makes leather belts and whips, and to keep his boots soft and supple for his mountain goat impersonations up every pile of rocks. Oakwood is Australian made, contains lanolin and emu oil, and seems to keep his boots dry. You’ll find plenty of waterproofing products at your local hiking shop or online – just be sure to pick the right product for your boot fabric. Leather boots love wax based products like Sno seal, Nikwax Aqueous Leather Waterproofing Wax, and Granger’s G-Wax. 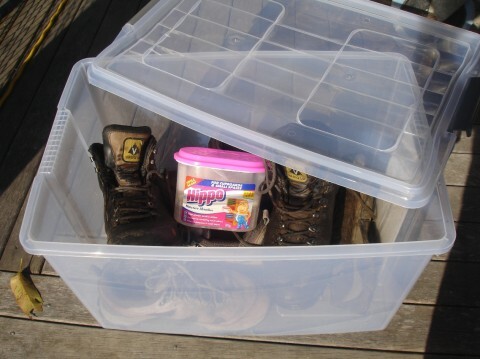 Nubuk and suede boots prefer silicon-based waterproofers, such as Nikwax, Grangers, Teknix or Waterguard sprays or wipe-ons to improve their water resistance. These won’t darken the colour, make your boots look and feel waxy, or reduce breathability. We all know you should never dry boots quickly by the fire in the huts, but night after night you see row upon row of wet, smelly boots quietly steaming there. It is best to make your boots as waterproof as possible before you head out into the mud, but if they do get wet, try to resist drying them at anything more than room temperature. Be good to your boots and the environment after your hike by rinsing off mud with cold water, then giving the soles a good scrub with a brush to remove contaminants, seeds or fungus spores trapped in those super-deep treads. If your feet sweat, give the insides a wipe out with a damp cloth. And wash the laces. If your boots don’t come clean under the tap, Nikwax shoe cleaning gel is suitable to use on any boot fabric or breathable lining. The product is water based so shouldn’t disturb the waterproofing already on your boots. Once your boots are clean inside and out, air dry them out of the sun. It is important to store your boots dry, to stop fungi and moulds attack. This is especially important in the tropics. If you use these simple steps to care for your boots, they will be your faithful walking companions for years. Best of luck. Have you got a different system for boot care? Are you like many people (Frank and Sue included) who hose them down with water, let them dry and drag them out a few days before a trip? 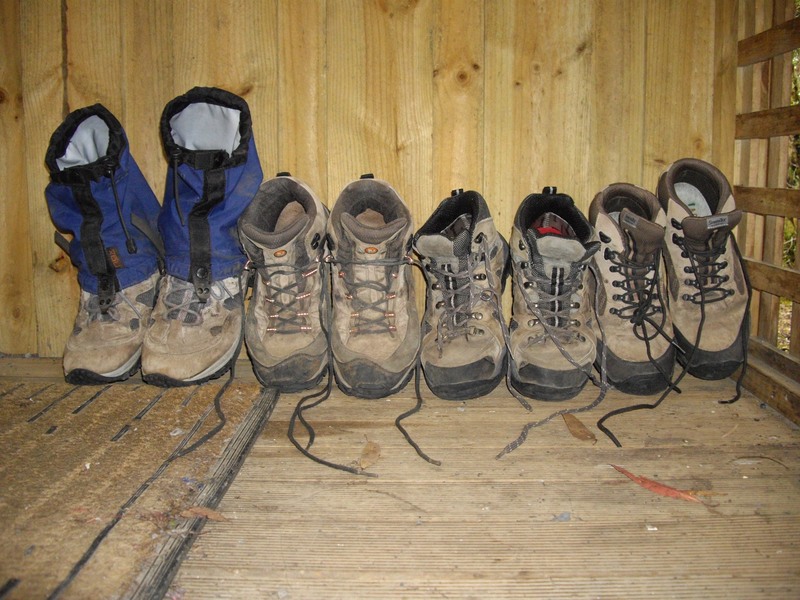 What is your best tip for keeping your hiking boots well maintained? What boots do you guys recommend? I’m in the market for some good new hiking boots. I’m a boot care fanatic. It comes from riding horses and being a tack cleaning junkie. Leathercare is extremely important to any rider. All of the important items are made of fine leather: saddles, bridles, and the rider’s boots. None of these items are cheap; saddles generally cost upwards of $1500 US and bridles upwards of $200, so riders have to be very diligent about caring for these items they use 5x a week. I have all leather waterproof hiking boots and this is my system. 1) After every hike, no more than 1-3 days later, clean off all mud and dirt with a damp sponge. 2) Remove dirt and crusted matter from treads. 3) Use a gentle leather cleaner (like castile soap) to remove all remaining dirt. Use a toothbrush to get in the groves. 4) Apply a light coat of leather conditioner. I prefer Effax Lederbasalm or Passier Ledarbasalm. Let dry. If needed, continue to apply light coats of conditioner, letting each layer dry throughly. 5) 2-3 times a year, gently warm the leather and apply a waterproofing product. I use and love Sno-Seal for the wet PNW weather. As long as your boots are made of good quality leather, this should significantly prolong their life. I know riders who have had their boots for 10 years or more. Granted, they are doing a bit less walking in them but the boots are also exposed to a lot of moisture, manure, and other added stressors. Thanks for this posting about boots. We are planning a trip to NZ and our comfortable old boots could do with some attention before we hit the track. I was researching this the other day and found that for the leather boots, if you want to get them resoled by a cobbler once they have worn out, you can’t use the Sno-Seal/beeswax based sealants. Apparently it gets absorbed into the leather in a way that means the resoling glue won’t adhere to it. Not a problem if you replace the whole boot but something to keep in mind. I have been told that Dubbin rots the stitching on boots. Has anybody got am view on this? I have been using Dubbin for 40 years on all sorts of leather equipment and have never had an issue with stitching. Use it still today on the wifes and my hiking boots, the boots are well worn, 9yr old and used at least twice a week every week. Only thing that ever needed attention was the insoles, change them and voila..new boots.